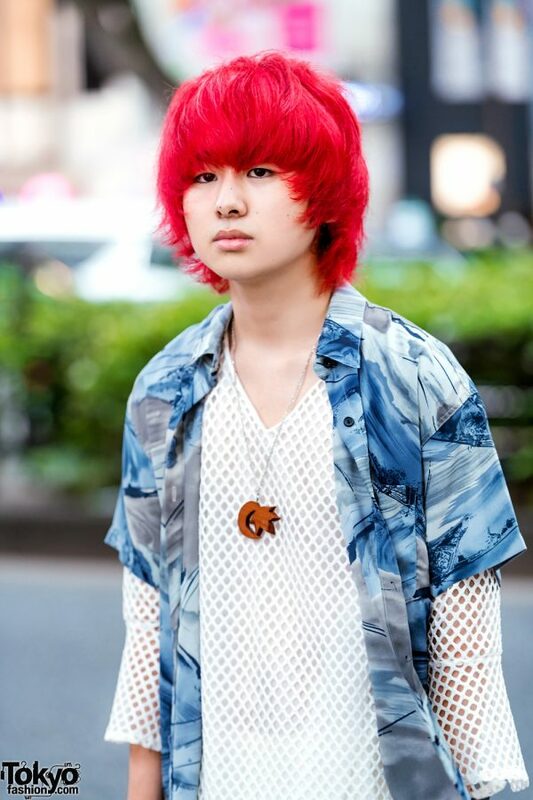 Here’s Taira, the 16-year-old student who is a familiar face on the Harajuku streetwear scene. 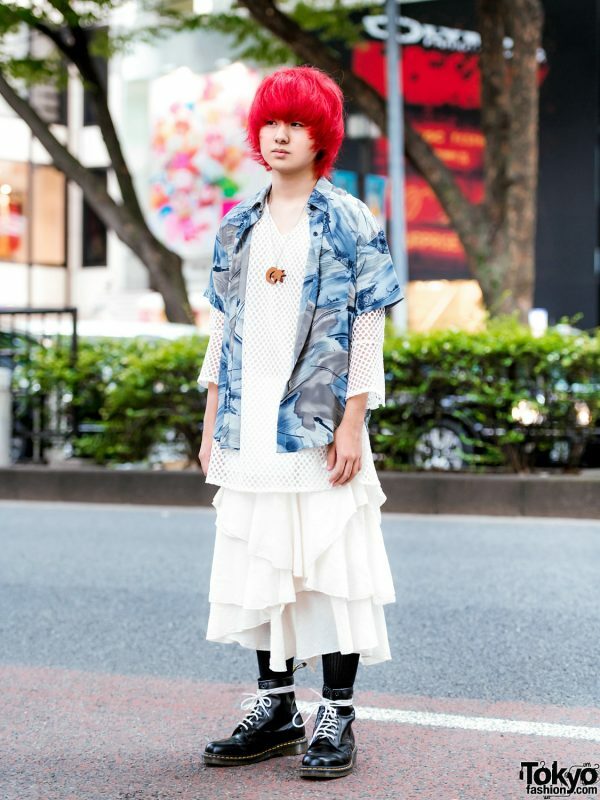 Taira – sporting a red messy bob – is wearing a vintage outfit, which consists of a blue printed shirt, styled with a white long sleeve mesh top and a white tiered skirt. 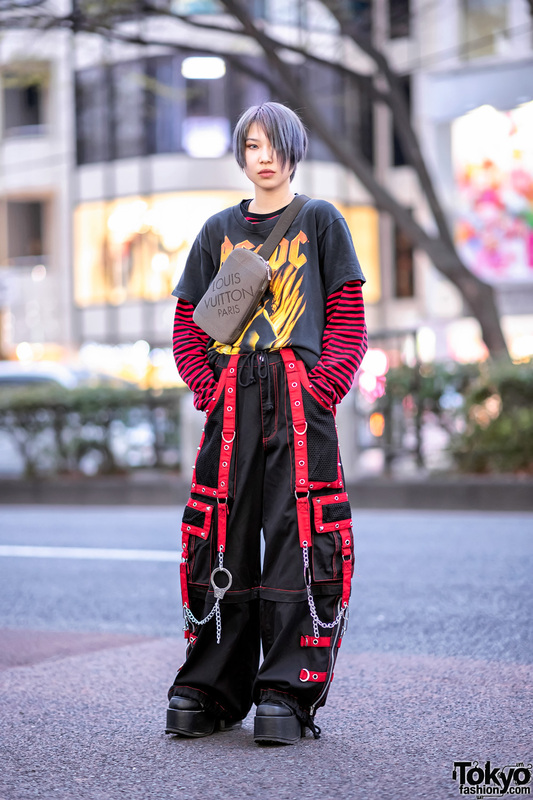 He finished off his ensemble with long black socks, black Dr. Martens boots with white laces, and a wooden pendant necklace with a silver chain. 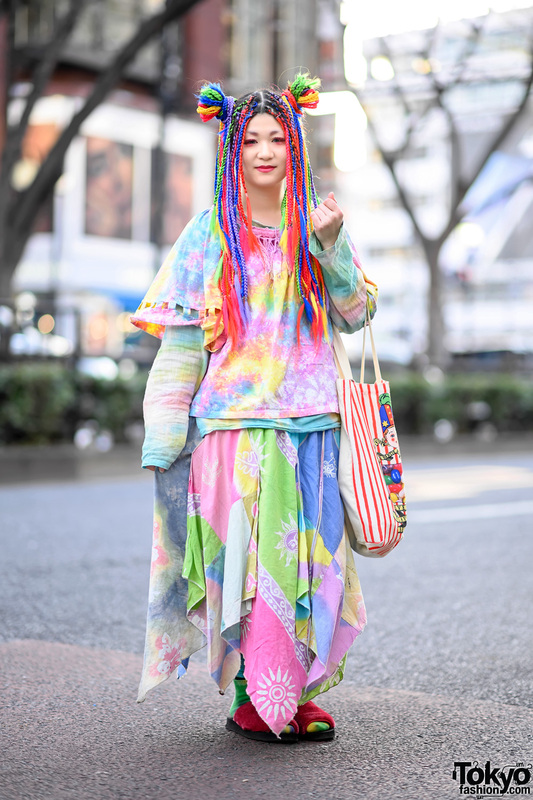 Check out Taira’s style feed and updates on Instagram.